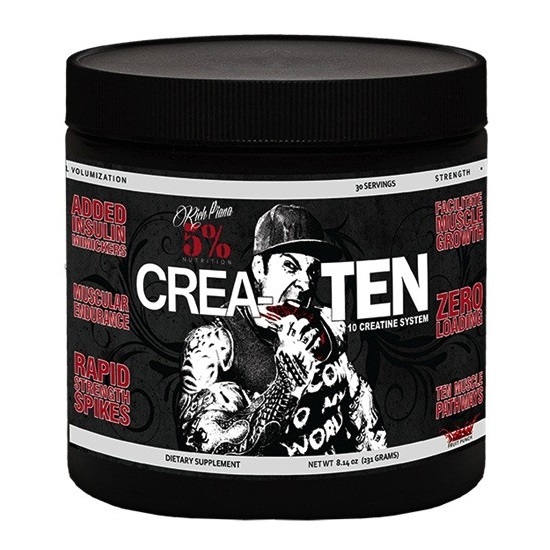 5% Nutrition Crea-Ten is a supplement which uses 10 different forms of creatine as well as an absorption enhancing blend to increase the bodies absorption of the various forms of creatine. 5% Nutrition Crea-Ten helps supply energy to muscle cells by increasing the formation of adenosine tri-phosphate (ATP) in the body. Increased ATP causes an increase in muscle energy, resulting in greater muscle force and increased muscle recovery. 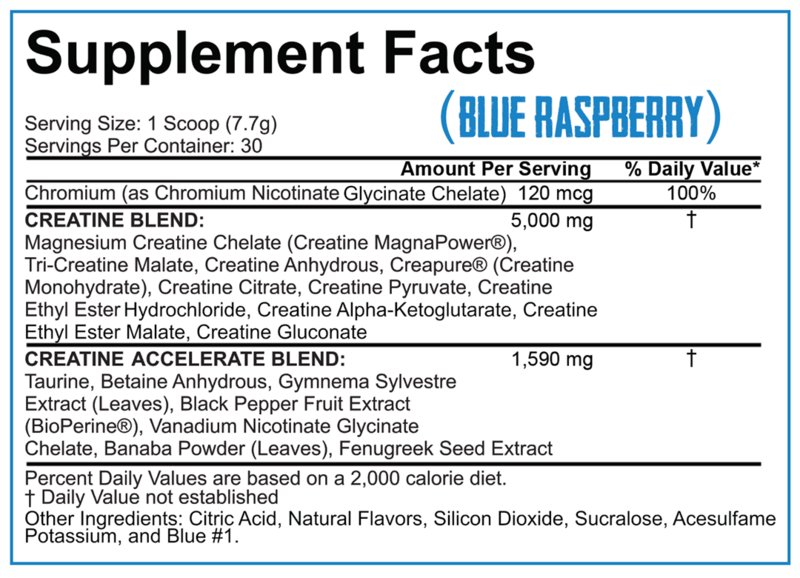 5% Nutrition Crea-Ten therefore allows you to train harder and recover from workouts faster. Combine this increase in training intensity and muscle recovery with a sensible dieting and training regime, and 5% Nutrition Crea-Ten will help you build muscle. Mix 1 scoop with water or any other fluid and consume after workout to help build muscle.